Got that Taco Tuesday feeling? Or maybe a loaded burrito has your attention? Whatever the day or your craving, Del Taco is a popular hot spot for quick casual Tex-Mex. All prices on this page are dated July 2017 and taken from a restaurant location in Utah, USA. Please note your own particular state may differ slightly. Prices provided only as a general reference guide, please be sure to review with your own local restaurant. 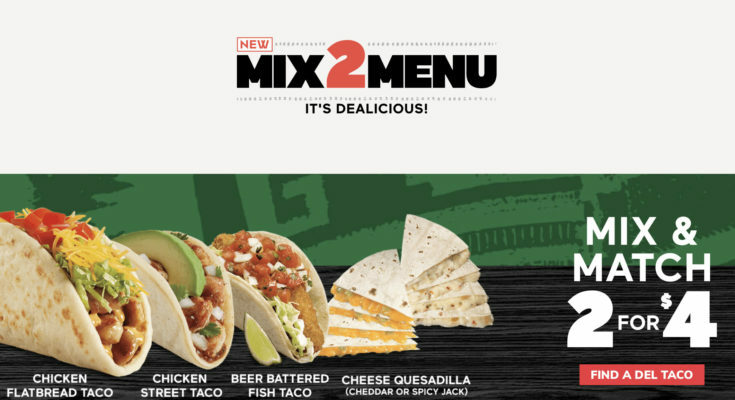 This site has no affiliation with Del Taco.